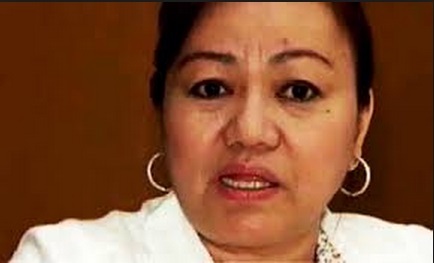 Manila, Philippines - The queen of 10B pork barrel scam, Janet Lim Napoles is now in Makati City Jail as PNP transferred her before midnight on Thursday, August 29, 2013. 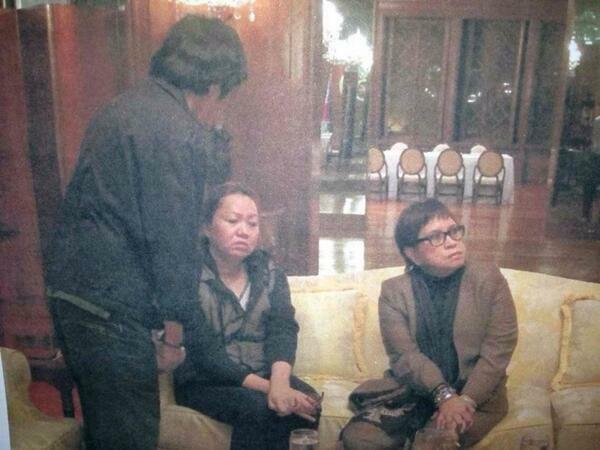 Napoles arrived at the City Jail 11:20p.m. wearing bullet proof vest and hands covered by white cloth. Napoles would be given a temporary 'office-type airconditioned room' separate from 52 other women detainees in the spartan dormitory at the Makati City Jail contrary to earlier reports due to security concerns. DILG Secretary Mar Roxas and PNP chief Purisima say members of SAF, BJMP and other security personnel will guard Napoles 24/7. Earlier today, the Makati City Regional Trial Court Branch 150 has released a commitment order stating that Napoles should be detained at the regular jail in Makati since it is within its jurisdiction. However, Napoles’ counsel Lorna Kapunan filed a motion late yesterday afternoon asking that the court allow Napoles to stay either at the PNP detention center or in Camp Bagong Diwa in Taguig City. Roxas says Napoles' medical condition was checked while at Camp Crame before her transfer and will go through another check once inside the Makati City Jail. Napoles was at Camp Crame, the headquarters of the Philippine National Police (PNP), the whole day Thursday, August 29 where she was detained. 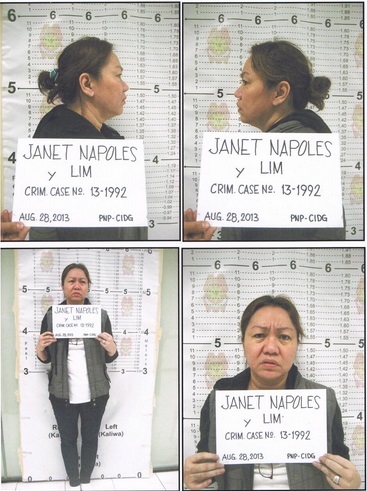 Janet Lim Napoles surrendered to President Aquino Wednesday night, August 28. 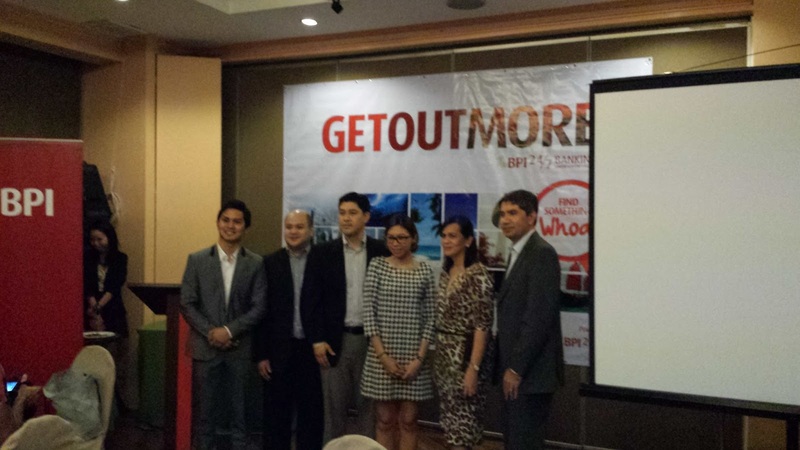 BPI strengthens 24/7 banking service, rewards clients with dream vacations to Asia. 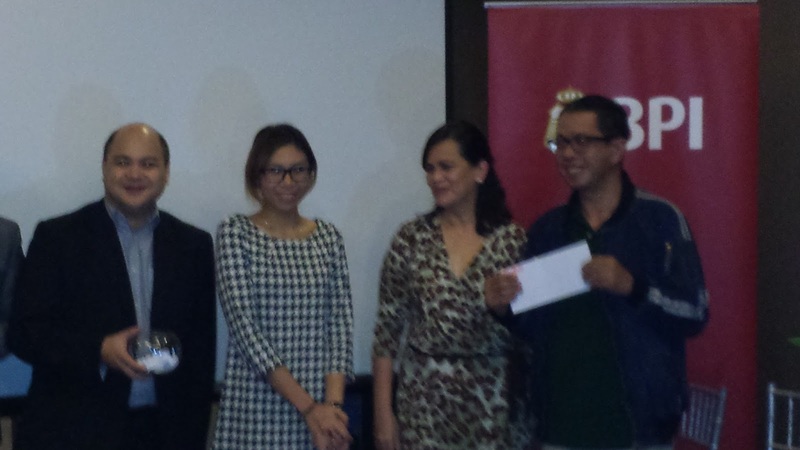 Last year, BPI 24/7 Banking launched the promo and gave away all-expense-paid trips for four (4) to seven lucky winners. The trips were to seven of the top tourist destinations in the country, including Bohol, Davao, Boracay, Cebu, Legazpi, Iloilo, and Puerto Princesa. As one of the most trusted banks in the country for the 21st century, BPI has continuously innovated itself to cater to the changing banking lifestyles of its Filipino clients. Among those innovations is the BPI 24/7 Banking service that allows clients to conduct essential banking transactions, anytime and anywhere. 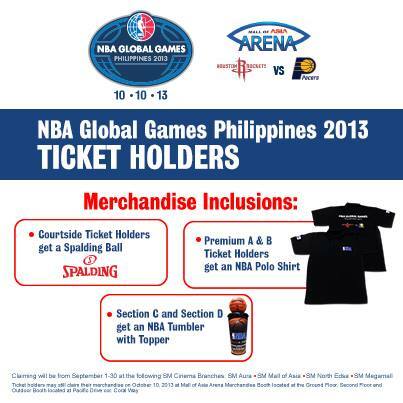 Manila Bulletin writer is one of the four (4) winners of airfare tickets to Hong Kong. Tickets given to the lucky media attendees present during the Get out More press event. “The goal for BPI 24/7 Banking is for our clients to make their transactions as fast, secure, and easy as possible for them to have time for other important matters. The extra minutes saved from traveling to a bank branch or payment center can instead be precious time spent with friends or loved ones. Hopefully, this will also allow them to Get Out More for traveling, so they can discover the whoa finds that Asia has to offer”, as added by Mr. Carlo S. Gatuslao, BPI Vice President & Division Head of the Electronic Channels Marketing & Sales Division. All new and existing BPI, BPI Family Savings Bank, and BPI Direct Accountholders are qualified to join the promo and earn electronic raffle entries as long as they pay bills through BPI 24/7’s Banking Channels (BPI Express Online, BPI Express Mobile, and BPI Express Phone) during the promo period from August 1 to November 30, 2013. 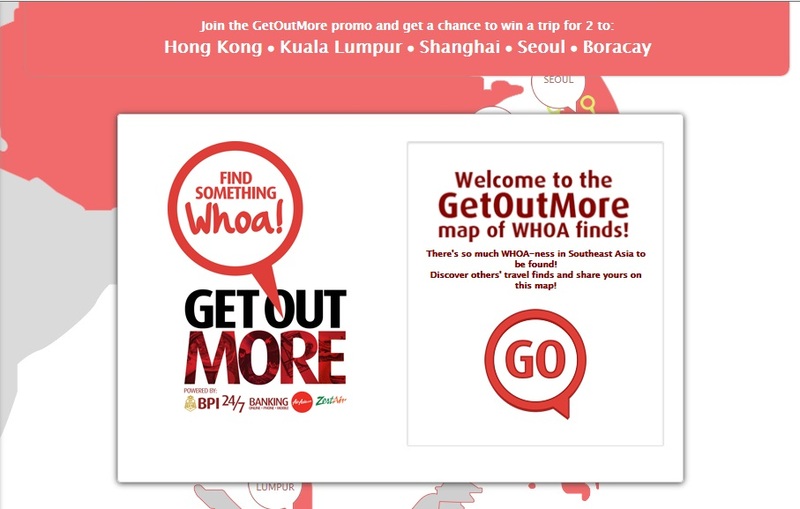 Visit http://www.getoutmore.ph/ to learn how to join the promo, and discover the Whoa! sights and attractions in Asia! Physician board exam full results for August 2013 - Medical licensure exam list of passers and topnotchers (top 10) are available here as the Professional Regulation Commission (PRC) and the Board of Medicine announce results August 27, 2013. PRC released Physician board exam results online in 3 working days from the last day of examination. Examination was administered in the cities of Manila, Cebu and Davao last August 10-11 (Sat-Sun) and 17-18 (Sat-Sun), 2013. The Board of Medicine is composed of Dr. Edgardo T. Fernando, Chairman; Dr. Jose Y. Cueto, Jr., Dr. Restituto C. De Ocampo, Dr. Florentino C. Doble, Dr. Miguel L. Noche Jr. and Dr. Mildred N. Pareja, Members. August 2013 Physician or Medicine board examination covered key subjects of biochemistry, anatomy and histology and microbiology (August 10); physiology, legal medicine,ethics and medical jurisprudence, pathology (August 11); pharmacology and therapeutics, surgery and ophthalmology, otolaryngology and rhinology medicine (August 17); and Obstetrics and gynecology, pediatrics and nutrition and preventive medicine and public health (August 18). 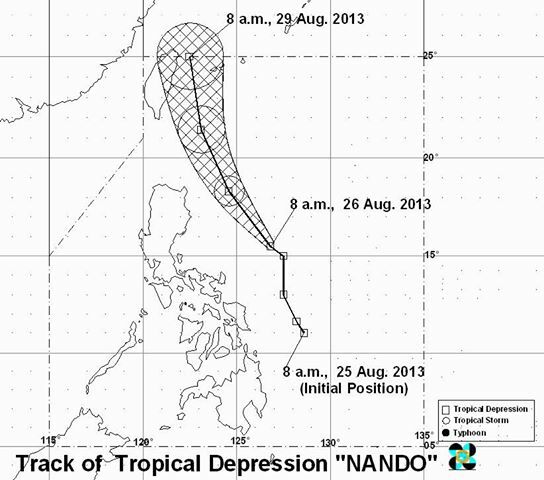 Due to declared special non-working holidays on August 21(Ninoy Aquino Day) and August 26 (National Heroes’ Day) and effects of Tropical Storm 'Maring' and the enhanced southwest monsoon that hit the country last week, release of results was delayed. Last February 2013, results were released in just three (3) working days. 420 out of 863 were named new physicians. Far Eastern University (FEU) - Nicanor Reyes Medical Foundation garnered the top performing school rank with 82.22% passing percentage. University of Santo Tomas (UST) alumnus Chicco Xerxes de Leon Pangan topped the board with 86.33%.